Posted by Jen Pappas in Cartagena, Colombia Posts. Cartagena. If a city were able to thrive on intrigue and romance alone, Cartagena would have it made. 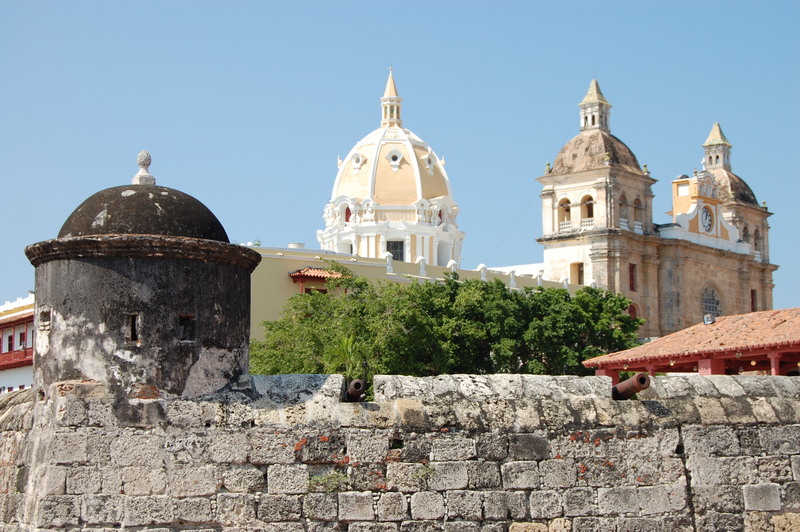 Founded in 1533, Cartagena was a major port town for the Spanish and also where they stored all the riches they’d plundered from the indigenous people. Treasure troves are natural targets, so imposing stone walls were built around the entire city to protect it from pirate attacks, including those made by Sir Frances Drake in 1586. Cartagena became an impenetrable fortress. In addition to the walls, a chain of forts, dungeons and hidden tunnels were built to protect Spain’s riches. Today, it seems that little has changed. 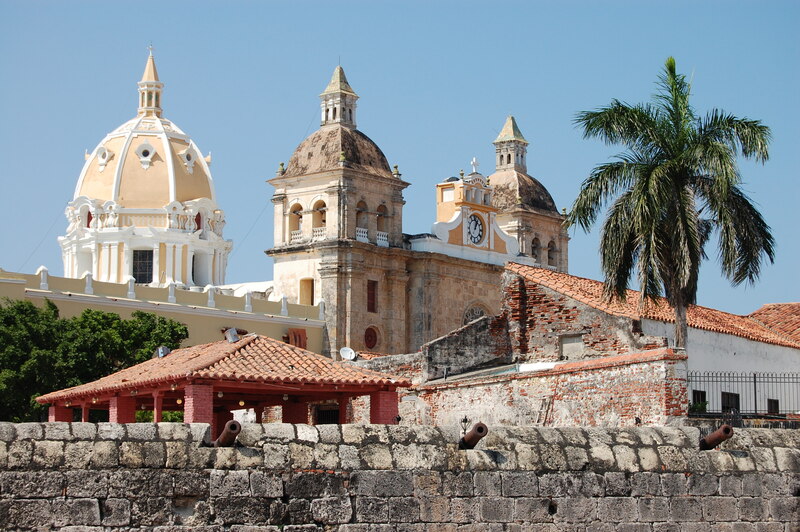 The Old Town is still encircled by massive stone walls and consists of the same colonial architecture, churches, plazas and cobblestone streets of the 16th Century. Horse-drawn carriages clatter down narrow alleys, bougainvilleas dangle from balconies and large mansions overlook the sea. The only real difference are the trendy bars and luxury hotels. 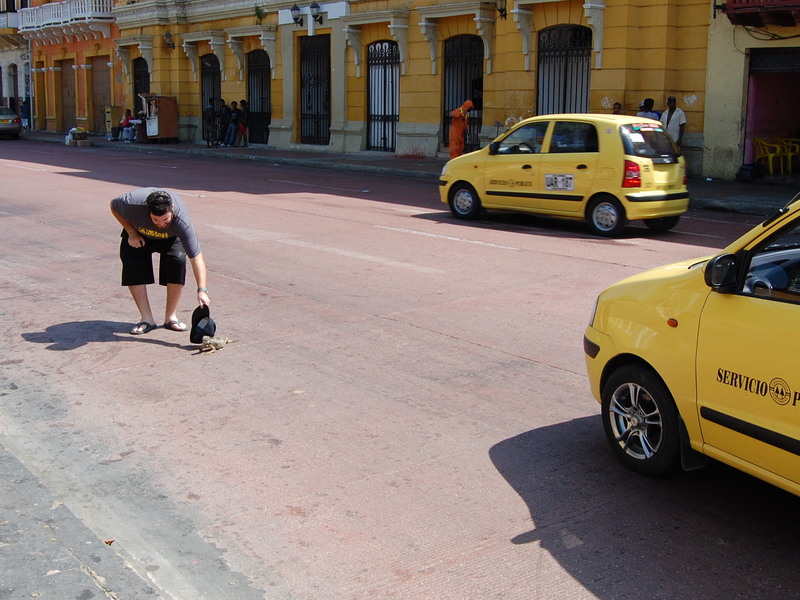 We arrived in Cartagena without any reservations, so after paying the cab fare from the bus terminal, we were pretty much on our own. We decided to start looking in Getsemaní, the neighborhood directly outside of the Old Town walls. Almost immediately, we saw a sign for the Hospedaje Montreal and ascended the stairs. The vibe was a little shady but we were shown the room, (large, with 2 beds and a TV) told the price, (40,000 pesos or $6 per night/per person) and the location was good (5 minutes walking distance to the Old Town). We decided to take it. While the boys were checking in with reception, I decided to check out the bathroom situation. It was not pretty. Horrific might actually be a better word… Dirty and smelly with a single PVC pipe sticking out of the wall next to the toilet in what I’m only guessing was supposed to be the shower. I went back to report my findings, only to discover that the guys had made a few discoveries of their own. A man had just walked up to the reception desk with a large order of boxed condoms. Several young, scantily-clad girls were sticking their heads out of their rooms, looking at us curiously. The puzzle pieces started coming together… We had just checked into a whorehouse. We decided to make the best of it and see how long we could stay there saving money. Because as Steve reasoned, “Paying just $6 a night means we have more money to spend on other things.” Made sense to us. We spent that first evening exploring the inner walls of the Old Town, in continuous marvel at the picture-perfect buildings, charming streets, live music and gorgeous views from the top of the wall. Think Disneyland if it were only for adults and lacked all the foo-foo Disney characters. It was nearly sunset, so we sat down and ordered cocktails at a posh outdoor bar on the wall overlooking the sea. We stalled as long as we could but ultimately had to return to the whorehouse to sleep. We managed to stay one more night before entering a stage I like to call, “Utter Disgust.” We packed up our stuff, said “ciao” to the call girls and checked into a much nicer hotel down the street. Our next Cartagena challenge would prove to be even harder. It ended up taking us two days, including 7 hours on a boat, $45 dollars each and 90 minutes of arguing with a tour company, but we finally got to visit BOTH Playa Blanca and the famed Islas del Rosario. On our first attempt, we got up early with tickets in hand and went down to the harbor for our 8 a.m. departure. The boat was already full by the time we arrived, so we were forced to sit downstairs with an overzealous Colombian tour group who would NOT SHUT UP. Due to the noise and the ongoing language barrier, we ended up missing crucial instructions informing everyone that due to choppy seas, our boat would not be going to the Islands that day. We would only be going to the beach and if we wanted to go to the island, we should save our tickets, get off the boat and return the next day for the full tour. So… we stayed on the boat, perplexed and wondering why we were spending so much time at Playa Blanca instead of going on to the islands. 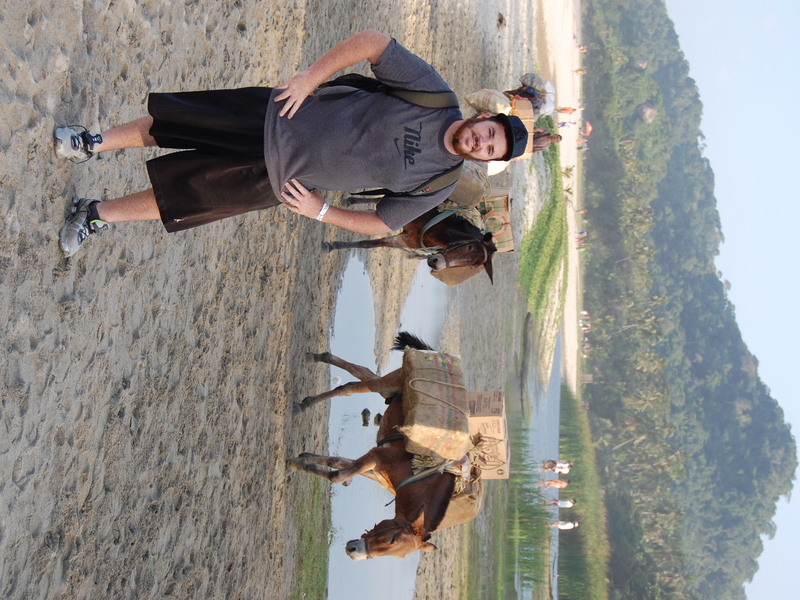 When we got back to Cartagena, we discovered our mistake and decided to return the next morning to see if we couldn’t get back on the boat (for free) and go to the islands. Finally, thanks to some help from a deckhand and by agreeing NOT to include lunch, we each paid 5,000 pesos ($2.50) more and got back on the boat. After nearly two hours of cruising, our destination finally came into view. The Islas del Rosario are actually an archipelago consisting of 27 tiny coral islands and islets, some only big enough for a single (luxury) home to sit on. The islands are surrounded by a combination of teal and turquoise water more beautiful than anything I’ve ever seen in person before. The entire top deck where we were sitting erupted into a storm of childish glee, with people rushing from one side of the boat to the other snapping photos, pointing fingers and gazing in awe. The closer we got, the giddier people became. The captain slammed our boat into another at the dock and everyone clamored to get off. All the tour boats drop you off at the entrance to an outdoor, natural aquarium where you then have an hour to explore before moving on to Playa Blanca. The aquarium was spectacular. Sea turtles, bat rays, sharks, and dolphins were all kept in natural seawater, fenced off from one another in various pens. We took loads of photos and watched a dolphin show. After the hour was up, everyone piled back onboard for Playa Blanca and lunch. Now, this is the same beach we’d already spent three hours at the previous day, but it was extremely hot out, so we were all looking forward to getting in the water. Fate, however, was still not on our side. The seas going back were rough and choppy and the wind was howling. The boat rocked and heaved, with everyone up top holding on for dear life and everyone down below puking their guts out. 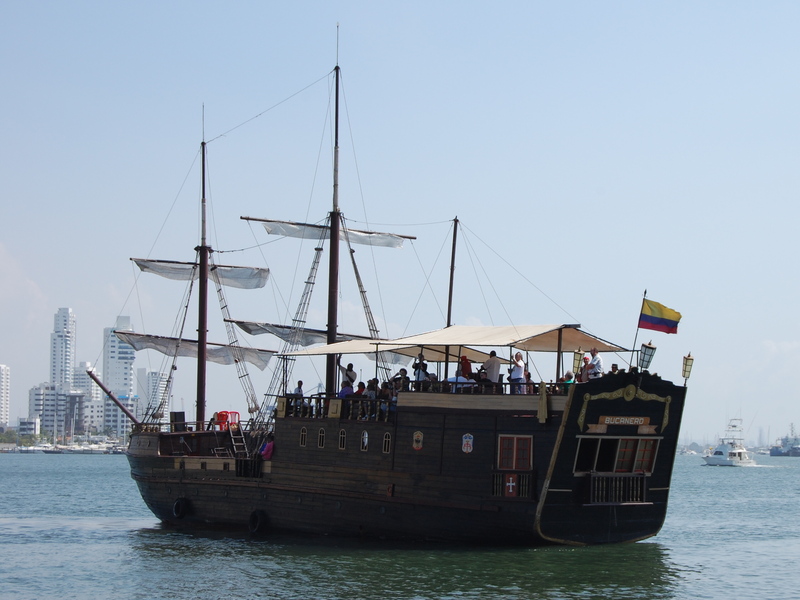 To make matters worse, once we finally arrived at the beach, the Captain deemed conditions too dangerous for us to ferry in, so we were forced to head directly back to Cartagena. No beach. No lunch. Spirits plunged. The irony was severe. Two days out on a boat with only half a tour each day. When we arrived back at the harbor, a boat-load of disgruntled people got off, knowing they’d been cheated- swindled by the worst tour company known to man, but couldn’t do a single thing about it. Despite everything we’d been through, we were the only ones who walked away satisfied. Posted by Jen Pappas in Bogota, Colombia Posts, San Gil, Santa Marta. We celebrated Brett’s first night in Bogota by taking him to a heavy metal bar off a small, buzzing alleyway filled with hole-in-the-wall dives and sushi restaurants. Ordering rounds of cheap rum shots and glass-bottled Coca-Cola, watching teenagers dressed all in black head-bang and play air guitar until they nearly made themselves sick. We went to the Botero Museum twice, where we walked slowly past each painting, sketch and bronze sculpture paying homage to the artist’s obsession with obesity. Colombia’s national artist, Botero reproductions can be found on everything from place mats to calendars. We rode a gravity-defying cable car up to Cerro de Monserrate in the rain, watched Brett play blackjack in a Bogota casino, hugged a street vendor and watched a guinea pig race in the middle of the street at a Christmas Street Fair- all in one day. We spent Christmas in the small, dusty town of San Gil, where one must throw some serious elbows just to make it one block down the hectic streets. People-watching in the plaza, horse-back riding on obedient steeds, and stumbling across a gallery of amazing local art in the white-washed town of Barichara: what cowboy films are made of. We tugged at the silvery, ancient fronds dangling from the massive trees at Parque El Gallineral, learned how to say, “barbas de viejo” before playing cribbage near the natural swimming hole full of families lounging in inner tubes. We befriended a Colombian family during the 11-hour bus ride from San Gil to Santa Marta, posing for photos with their beautiful, large-eyed daughters and sharing snacks before hugging farewell and going our separate ways. We arrived in Santa Marta on the 26th of December and spent the next 5 days scaling cliffs and precarious trails over-looking turquoise waters, arriving at hidden coves where we spent an entire day playing with a local group of rambunctious kids: fishing, playing catch, playing shark, being chased down the beach by six-year-olds wielding long blades of grass to tickle us with. In short, getting caught up in the simple drama of a tiny fishing village where the men recline in hammocks and the women carry overloaded trays of sweets on their head. We danced until 2 a.m. on an outdoor deck overlooking Taganga beach on the full moon. We hiked for two hours straight through horseshit and jungle only to emerge onto a paradisal beach right out of Hollywood, where we swam and taunted crabs for awhile before having to hike the two hours back before dark, exhausted, blistered and slightly bitter. We have been bitten by pufferfish, (Steve) hunted down by the old man renting out scuba gear when we failed to return on time, (Brett) and eaten an excellent dinner together inside a liquor store. 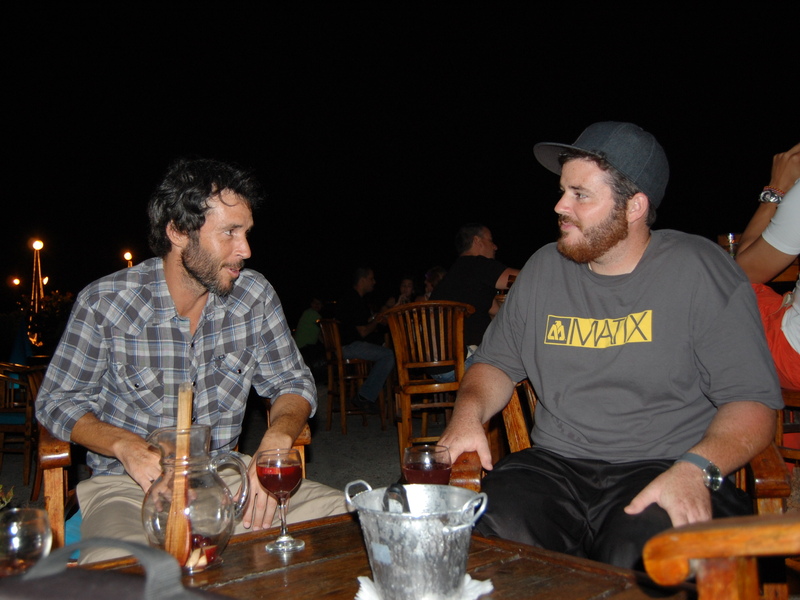 And though it’s painfully obvious that Jen walks too fast, Brett walks too slow and Steve just wants everyone to be happy, we’re still having a great time in Colombia- whore houses and all, but more on that story next time. Posted by Jen Pappas in Cartagena. Posted by Jen Pappas in Santa Marta and Taganga.